The Fifty-Fifty is basically a not-so-dry martini. The recipe calls for equal parts gin and dry vermouth instead of the more traditional mostly gin with a little vermouth mix. You do have to like dry vermouth to enjoy this one. If you do, it’s a really nice change from the traditional gin martini. It’s stronger on the citrus notes and has a little more of that dry white wine flavor from the vermouth. Fill a mixing glass halfway with ice cubes and add the liquors. Stir well and strain into a cocktail glass. 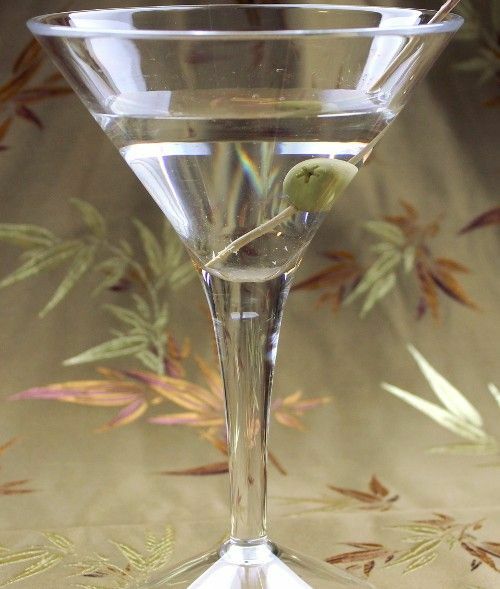 Garnish with an olive.